B2B transactions are no longer driven by sales. At least not during the first half of the engagement process. Research shows that more than half of the product and solution information gathering has been done online before a prospect even talks to someone in sales. 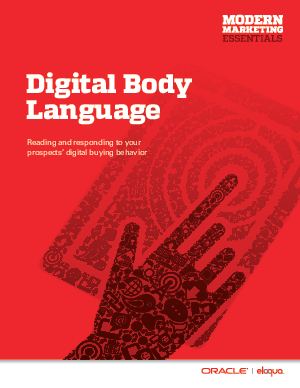 To succeed in this new business climate, smart businesses are adapting and realising that the next frontier is to read and respond to the “Digital Body Language” of their prospects. This new body language is revealed through online activities such as website visits, white paper downloads, and email responses.